You may have seen the fabulous Kyle Gray on ITV’s Loose Women recently; Kyle is an angel expert with a difference. 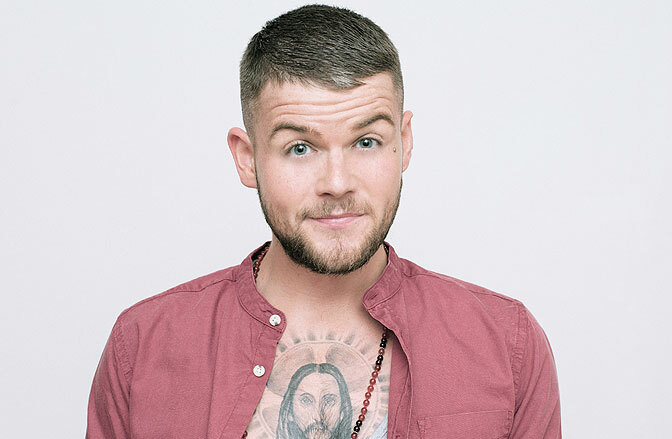 There’s nothing ‘pink’ fluffy’ or golden about Kyle, he is covered in tattoos, has a sharp wit, a taste for coffee and an alcoholic beverage on a weekend and he is incredibly successful as the ‘real deal’ for spirituality. Kyle recognizes the need for truth and a desire to shed light upon some of the more complex spiritual subjects and with his internationally best-selling books and oracle card decks, he has become one of the most sought-after experts within his field. The new book is called Light Warrior. 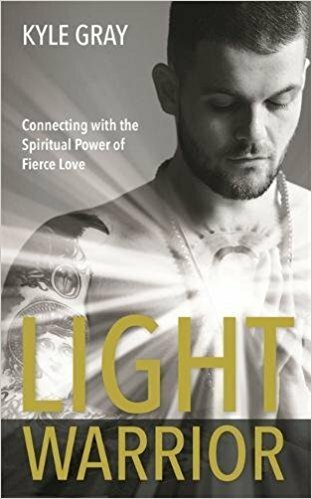 Many people have used the term Light Worker and while the word ‘warrior’ might suggest a ‘fierce-ness’ and be aligned with ‘fighting’ what Kyle refers to is the power of spirit to overcome darkness, challenge and fear. The book offers meditations, how to let your ‘shields’ down, how to protect yourself and having the courage to face fear. Kyle puts a different spin on this, and says our career is not our life purpose, it can contribute to it but according to A Course in Miracles, our life purpose is salvation, forgiveness and happiness. Kyle points out that you don’t need to find your dream job to fulfill your life purpose, he reminds us that sometimes we have spent so much time stressing over the ‘divine’ life purpose that we have forgotten to be happy along the way. Is that you? Are you forgetting to have fun? Guilty as charged your honour! …(sometimes) I fess up, I am constantly striving to ensure my kids are thriving, my income is increasing, my clients are satisfied and my family are supported…the list goes on…There are times when I forget about self-care. I’m going to take a leaf out of Kyle’s book, he turns down more TV and press opportunities than he accepts, (much to the annoyance of his publicist I’m sure) and he values highly his relationships with his friends and family. I’m not about to stop o helping people shine a spotlight on their unique brilliance, but I can remember to be happy. Thank you universe and angels, for removing the pressure I have allowed to stand between me and happiness. Today I choose to take the weight of the world off my shoulders so I can unite with my greatness. Thrilled to see ‘Changemaker’ Ciara Jean Roberts in Top Sante M... Great PR for Katherine from OMGTea – in November Issue of Prima!